When Jessica Fletcher's assistant emailed me that the best-selling author had need of a medium to help rid her house of noxious spirits, I got right on the case. I am a world renowned spiritualist, after all, or I will be as soon as my book starts selling. More important, I have the gift. What gift is that? No, I don't see dead people, but they do communicate with me, sometimes through smells or objects they leave around for me to find. Anyway, I know they're there. I can feel them. Unfortunately as it turned out, Jessica--she told me to call her that--doesn't have an assistant. And the home in question wasn't hers at all. Her clever friend Eve Simpson, a real estate agent, posed as Jessica's secretary and offered me money to smoke out any negative influences from a huge white elephant of a house she was trying to sell. So much for honesty in advertising! 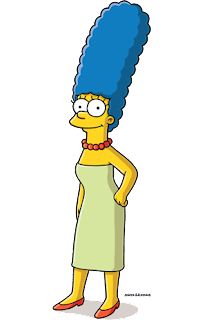 Jessica thinks my hair looks like this. when I chase out the spirits. It's not an exorcism. I want to be very clear about that. That's a specialty practice and I don't deal with demons. I can handle poltergeists. They're fairly low-level spirits, in the sixth class, third order. Not terribly impressive. When I burn a sage stick and carry it throughout a house, I can see which rooms have the troublemakers and which don't. You have to watch the direction of the smoke. Jessica had forgotten that I had taken one of her classes on writing years ago. Of course, I was Agnes Potts then. I couldn't keep that name once I discovered my gift. A medium needs a more exotic calling card to attract the right kind of clientele. I'm sorry to say that Mrs. Fletcher is not a believer. I can tell. It isn't just because she refused to be interviewed for my online video program and confiscated my video card. She questions everything. You have to suspend your disbelief when you are pursuing spirits. You have to go by feelings, not facts. It's a shame she rejected my offers of help. If she'd agreed to appear on my show, I could have made her famous by now. I am a believer! Thank you for the giveaway. I think so. Some things just cannot be explained very logically. Thanks for the giveaway. I do not believe that ghosts exist but I do indeed enjoy reading about them! I do not believe and I do not disbelieve. I have an open mind. I've never seen one but I try to keep an open mind. I believe in ghosts. Thanks for the chance. I don't know if I believe in ghosts but I believe there are spirits here on earth with us. I've seen some things that happen that are hard to explain by normal standards! I didn't used to believe in ghosts---but I'm beginning to---or at least spirits. I don't believe that they exist, but it's fun to read about them, and I would love to win a copy of the latest MSW novel! I don't believe in ghosts, per se. but I do believe in souls or spirits who still do/are allowed to come back from the other side and still walk the earth with us here. Thanks for the opportunity to win one of your wonderful books. Love Jessica Fletcher! Thanks for the opportunity to win this new book. Not really but I would LOVE to read this book! Thanks for the opportunity! "I do believe in spooks. I do believe in spooks. I do, I do, I do believe in spooks." I would love to believe in ghosts. I've never witnessed one personally, nor have seen any credible evidence to back up their existence, but I'm opened to the possibility. 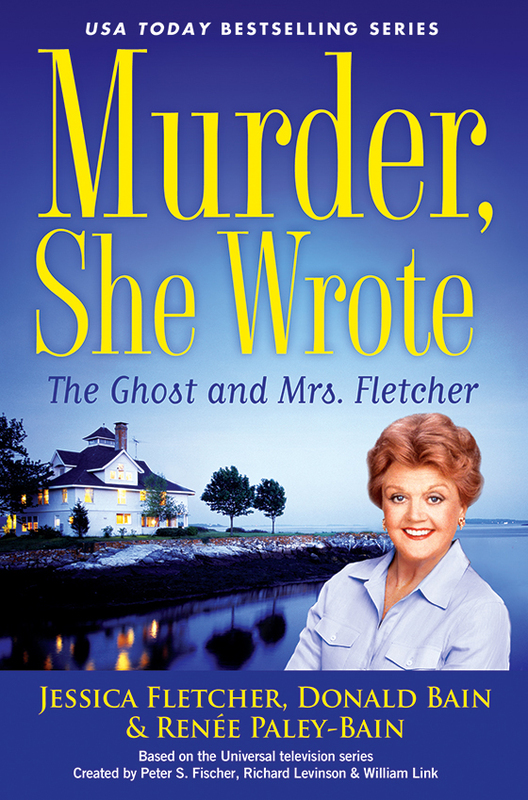 I'm a devoted reader of the "Murder, She Wrote" series. I have been since the late '90s. Thanks so much for the opportunity to get an advanced copy!!! Yes I believe in ghosts. My husband passed away in 1997 before his twin grandsons were born. They tell me they see and talk to him all the time. I would like to think there are spirits around to help us when we need it. Thanks! Love your responses. Thanks so much. We'll have the drawing on Tuesday and let you know who won. I have this pre-ordered and can not wait to read it! I love the series and this book sounds like so much fun. To answer your question, honestly I am not sure. I do think many of the "ghost hunters" and others of the like are good a creating the illusion of evidence; especially if that is how they earn their living. But, it is fun to watch for the entertainment value and to wonder. Not sure about ghosts, but I do know I'd like to be in the running for that ARC! I have never seen a ghost. But I know there are more things in the world than can be entirely explained by the 5 'regular' senses and/or science. My husband says our oldest (now 18) used to talk to his (hubs') maternal grandmother - whom he had never met, nor seen a picture, but could describe her to a "t". Yes, I do. I hope they are like on Ghost Whisperer. Yes, I believe in ghosts. I have had some strange experiences and so has other members of my family. There is more to the this world than we see. Thanks for the chance to win. I do belive in spirits. I have seen and felt a few. Not sure if "ghost" is the right word. Oh wow.. I would so love to win this one. Funnily enough I used to do ghost tours as I have a history background. Most of them were in old historical houses...and the stories people told me were incredible...thank you for the contest. I'm with JB, everything supernatural can be explained! But that doesn't mean I don't want to read about it! Jayelle1683@yahoo.com, and thanks for the opportunity! I do not believe in ghosts, but love reading about them. Thanks for the chance! I do believe in ghosts. I think there are spirits among us. Love this series! Yes I do and have experienced them for myself. And the winner is...Betsy Lewerenz! She will receive an advance reader's copy (ARC) of The Ghost and Mrs. Fletcher. Congratulations, Betsy! And thanks so much to all of you who participated in our drawing. The Ghost and Mrs. Fletcher will be released in October. Hope you all will look for it then in your favorite book store or library. We'll offer another giveaway next month. Meanwhile, keep an eye out for all the great authors at Killer Characters.